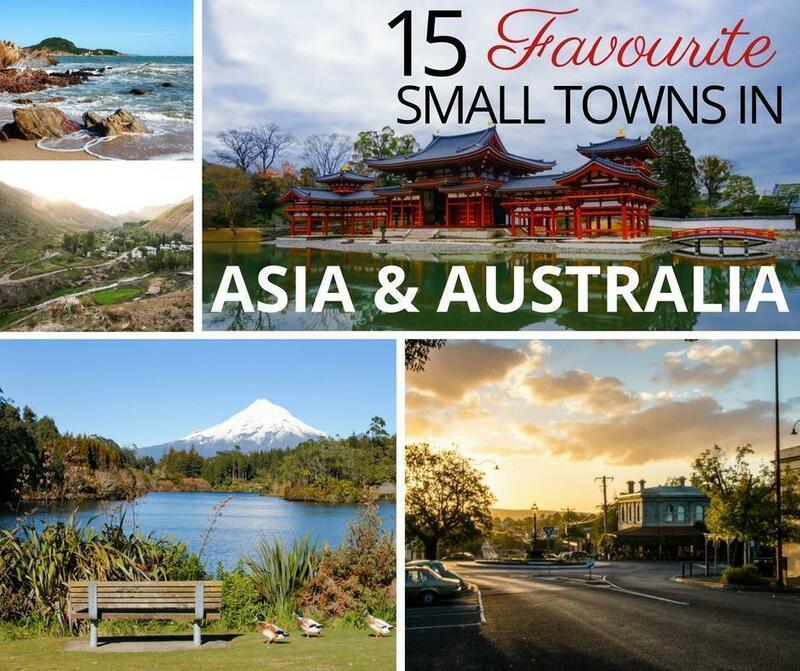 This entry is part 2 of 3 in the series World's Best Small Towns. Last week we shared travellers’ favourite small towns in Europe and Africa, the first in a three-part series about the best towns in the world. Today we’re heading east to Asia and the countries of the Pacific Ocean. This is a corner of the world we haven’t spent as much time exploring and the little we did see was primarily major cities like Bangalore, India, and Hong Kong. The closest we came to ‘small town’ life was exploring the backwaters of Kerala, India; somewhere we hope to return for a deeper, slow travel experience. 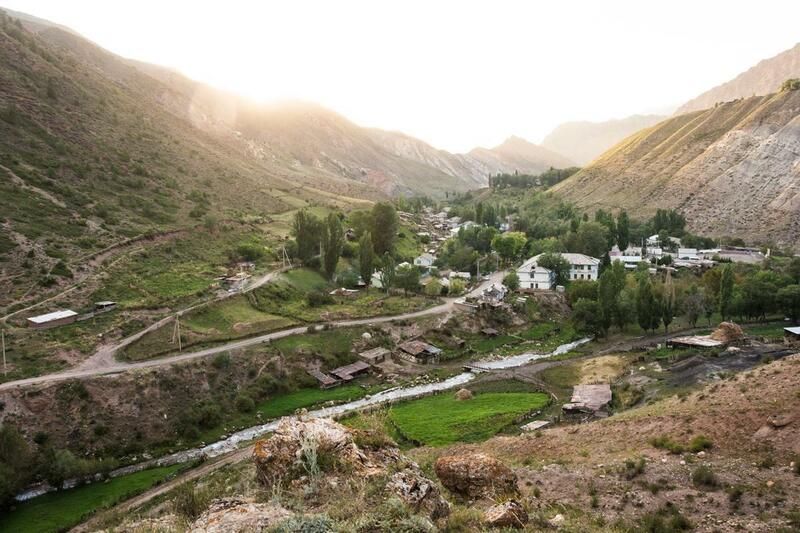 Tucked away among the Tian Shan Mountains in Kyrgyzstan is a town that has been forgotten by time: Min Kush. Several decades ago, during the Soviet occupation of Kyrgyzstan, the town was a bustling industrial hub. Its prosperous inhabitants worked to produce all kinds of materials for the Soviets, most notably uranium. Fast-forward to the present day, and the town is a mere whisper of its former self. Once-grand mansions stand empty and peeling, and the factories are silent and crumbling, explored only by the occasional passerby or wandering donkey. The youth have moved away in search of work, and the elderly remain with only nostalgia for company. It seems like an odd destination, but for any traveller interested in abandoned exploration, natural beauty, Kyrgyz hospitality, or truly getting off the beaten track, Min Kush is the perfect pick. One marshrutka minibus runs from Bishkek’s western bus station to Min Kush each day, leaving at 6:50 in the morning. Set your alarm early, and know there are no hotels in Min Kush. Bring a tent, though you probably won’t need it—an invitation to stay in someone’s home is almost guaranteed. Uji is a small city in Japan, located about 15 minutes by train from Kyoto. Uji might not mean anything to the ordinary traveller, but to the tea lover, Uji is a must visit destination, as this is the birthplace of tea as we know it in Japan. It is said a monk named Eisai, brought the very first tea seeds from China and gave them to Myoue, a farmer who planted them in Uji. This is exactly why Uji remains one of the most important locations for tea cultivation and the best place to get the finest grade matcha. 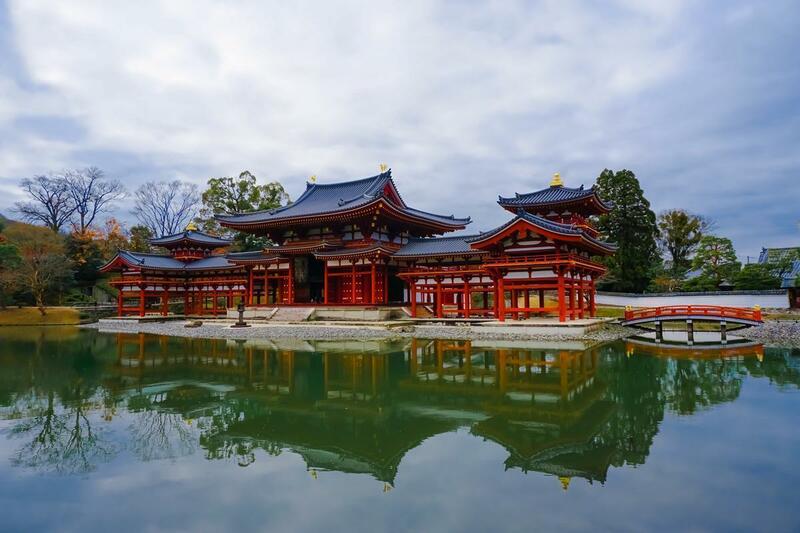 A trip around Uji’s old streets dotted with wooden houses will take any travellers on a fantastic, historic journey. Beyond the amazing world of tea, Uji is home to the famed Byōdō-in, a UNESCO heritage site and one of the most photogenic temples I have ever come across. Sai Kung in the New Territories of Hong Kong is just a 30-40 minute drive from central Hong Kong, but a world away in character. Once a small fishing village, Sai Kung is now a vibrant, bustling small town and a popular weekend day trip with Hong Kong residents. 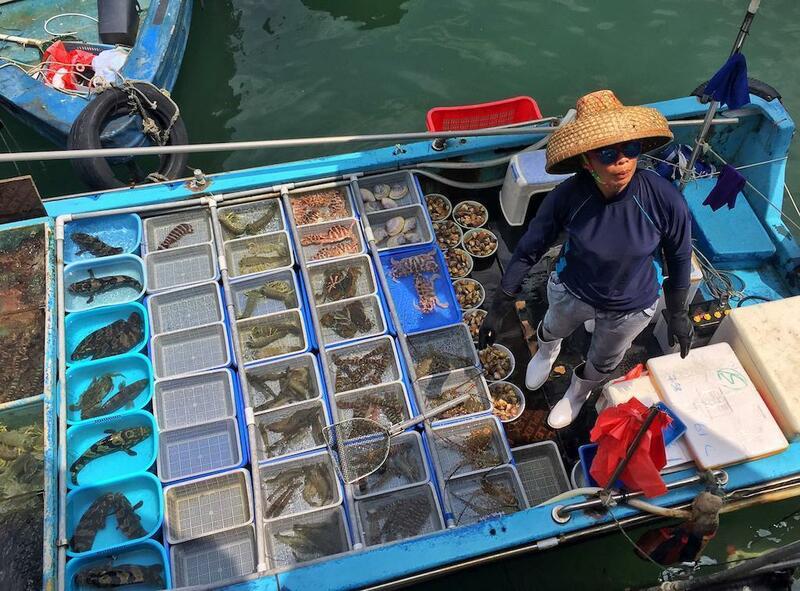 Sai Kung may no longer be a small fishing village, but fishing and seafood are still very much part of the daily life here. It is fun to wander along the pier and peek into the fishing boats to admire their catch of the day. Afterwards, head to ‘Seafood Street’, the main strip along the seafront, and treat yourself to a slap up local seafood lunch at one of the many alfresco restaurants, where you can choose your meal from the large selection of live seafood tanks. After lunch, hire a local sampan from the pier and get the driver to show you around the area’s beautiful islands and deserted beaches, or walk off your lunch along one of the many hiking trails in Sai Kung Country Park. There is no MTR (subway) in Sai Kung, so the best way to get here from Central is to take a bus or taxi. Muuido Island is so close to Seoul you can see airplanes landing at Incheon International Airport from the beach. Thankfully it’s also remote enough that the hustle and bustle of the city disappear along with the city lights and thankfully some pollution too. Do yourself a favour and stay overnight in one of the Hanagae Beach pensions or bring a tent and camp out on Muuido’s fine sand. Hanagae Beach is incredibly shallow and goes on forever. 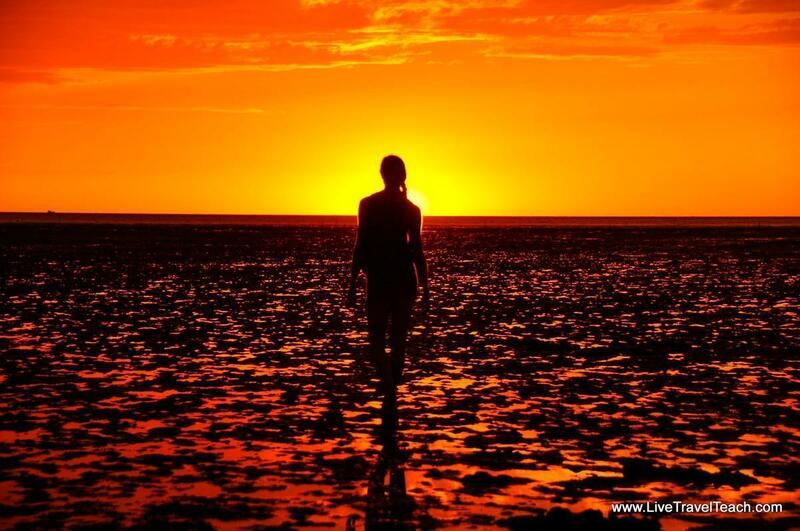 At low-tide, you can literally walk out for miles and still only be knee deep! Rumour has it you can walk to the next island, but we weren’t that brave. While you enjoy the water, dozens of Koreans will be wading through low-tide searching for clams and other molluscs to add to their supper. You can find fresh seafood at a few places on Muuido, but I prefer to bring my own barbeque or picnic. There’s a short hike to the viewpoint, ATV’s and even a zipline available. However, you spend your time on Muuido you are sure to love it! 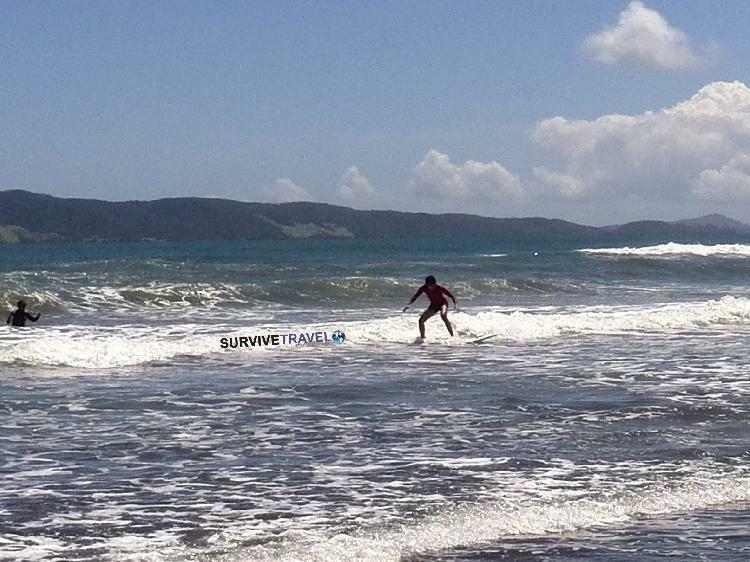 Tucked away in the region of Camarines Norte in the Philippines is a small city called Daet. Daet itself is much the same as any other small town in the Philippines, but just a 10-minute bangga (a modified motorbike to carry passengers) ride away lies the beach-side Barangay of Bagasbas Beach. Bagasbas Beach is known as one of the best beaches in the world to learn how to surf with its constant stream of “easy to catch” waves. It is also quite famous for kite-surfing with its constant breeze. Of course, for most people (including many Filipino’s) it is unheard of, but therein lies its attraction. It is basically one street lined with cheap restaurants, accommodations, and some rustic KTV bars. During the week it is soothingly quiet with only a few of the locals dotted about, and if you wake up before 9:00 am, you will quite often have the whole beach to yourself. On the weekends and holidays, tours roll in from Manila, and the KTV bars flare up a bit, but nothing too hectic. You can have a few beers and listen to the waves crack through the night. There is even a pop-up casino on Friday and Saturday nights! When you need a break from the sand, surf, and laid back locals, you can take a short ride to Daet proper. There you can find markets, hotels, internet cafes, supermarkets, restaurants, and anything else you need, including Bicol food which is well reputed for being the best cuisine in the Philippines due to its spice and coconut flavours. Fly into the city of Naga and take a 2-hour minivan ride. From the centre of Daet to Bagasbas Beach is a short bangga ride away costing 40 to 50 pesos, or only 10 pesos if you don’t mind sharing the ride. The Philippines is known to have been under Spanish rule for over 300 years. Politics and some ugly history aside, most people of the Philippines can’t help but feel a deep connection with Spain to the point of being proud. There’s no hiding the strong influence the colonisers left behind. The Philippine language is a butchered Spanish; the predominant religion is Catholicism, and the food is less oriental than that of its neighbouring countries. 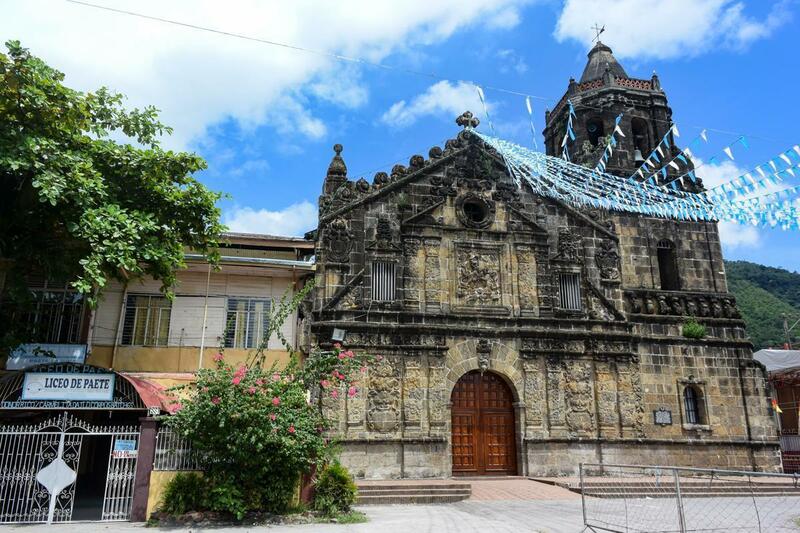 If you’re looking for a small town that personifies the history of a country; Paete, in the Province of Laguna in the Philippines, is such a place. Pulling into the centre, the first thing you’ll happen upon is a large cathedral, big enough to hold the whole population. Looking at the structure, which was built in the 1500’s, one can easily imagine themselves in a town like Sevilla. There are fans being sold by a vendor in the square resembling one we had once purchased in Madrid. The corner eatery served us a bowl of boiled beef that was basically a Catalan Pot Au Feu. The town has a strong tradition of wood carvings, sold on every corner, mostly with the figures of angels, saints, and the Holy Family. The craft itself is probably from the indigenous inhabitants; the execution of the art is Spanish. However, it’s the faces of the residents that best reflect how history has been softened by time. Though there are strong Castilian noses to be found, and lighter skin tones here and there, along with lace veils worn on top of women’s heads, and carriages drawn by horses on cobbled stone streets, Paete, though once occupied by Spain, in the end, is quintessentially Filipino. Imagine this – beautiful, clean beaches, locals visiting frequently (especially children), and best of all, few tourists! This is Bai Xep. 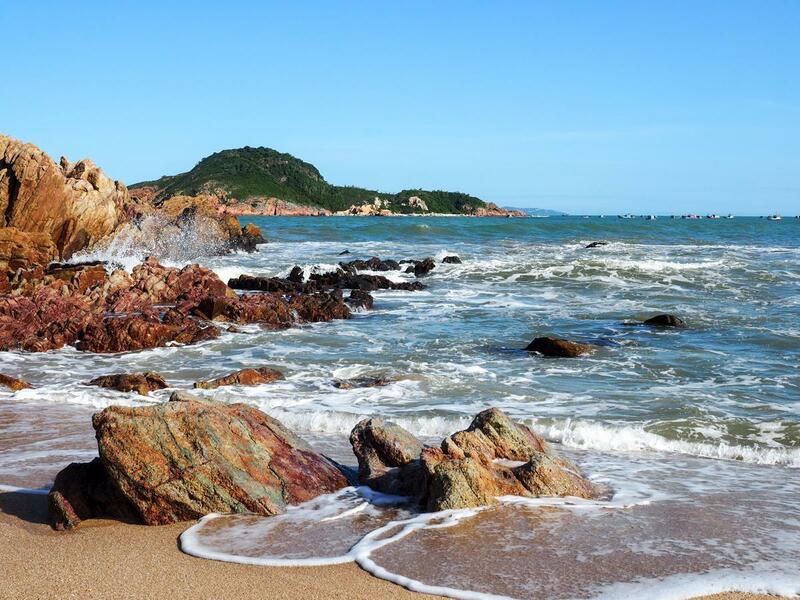 Sitting less than 15km south of Quy Nhon in Central Vietnam, this place is a beautiful, relaxing stop as you travel across the country. The locals of the area make a living as fishermen, and you can see this as you wander through this tiny village and nearby beaches. There’s just the one guesthouse here, sitting directly on the beach, and offering everything you could need in an accommodation. This guesthouse has taken significant initiatives with the local community to ensure local life hasn’t changed, but to clean things up and improve the area for visitors, along with providing further support and education to the local families. The easiest way to get here is by motorbike or taxi. However, any bus going past can drop you off (as long as you know where to stop)! Lonar in India is a small town which is not known to many people despite its geological importance. Although Lonar Lake is third largest meteorite crater in the world, there is no commercialization. More than tourists, this place is visited by researchers, geologists and scientists from all over the world. 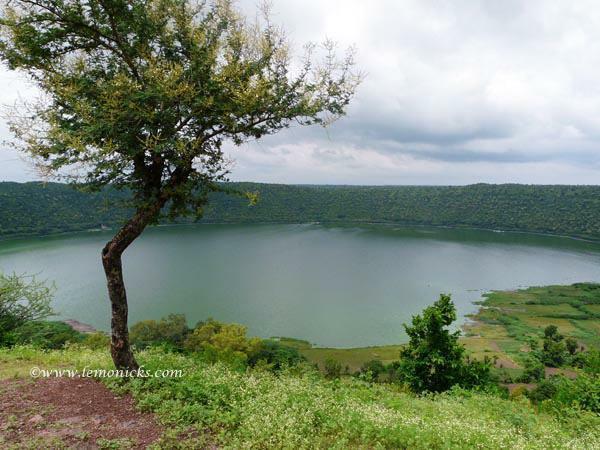 If you are a serious nature lover or adventure seeker, Lonar is for you. Almost circular in shape, the lake is around 50 thousand years old. The water is saline in nature with a substantial quantity of sulphur and phosphorus. The outer diameter of the lake is 1.83 kilometres, and the circumference is around 6-7 Kms. Descent to the lake (i.e. distance from the rim to ground level) is about 140 meters. It is better to take a guide with you. At ground level, the walkway is rather easy, natural, and mostly shaded through the woods. There are twelve temples along the lake, some working and some in ruins. While stopping in the ruined temples, you’ll see a lot of leftover snake skins strewn all over the floor. Getting there: There are private taxis and buses running from Aurangabad to Lonar. Aurangabad is connected by air and train as well. 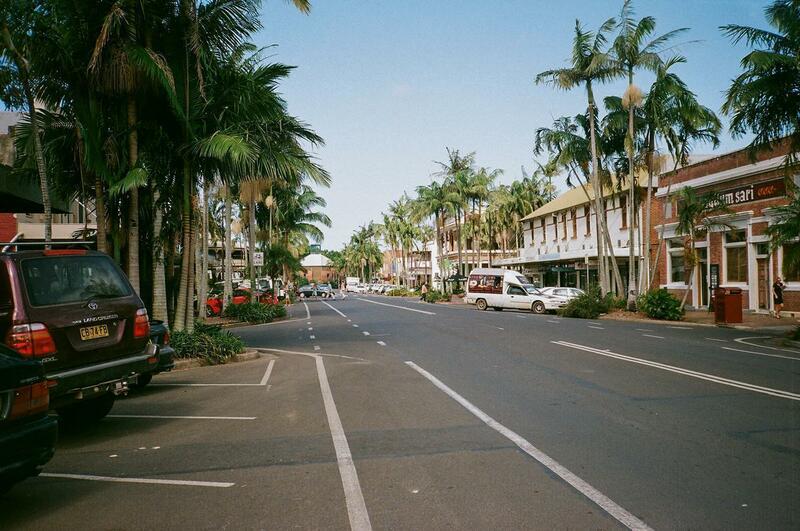 Our hometown, Mullumbimby, is known as the “Biggest Little Town in Australia” and to the locals as just Mullum. It has gone through many changes but, to this day, retains its small country town feel – with a few twists. Originally settled by cedar cutters in the 1880s, it soon became a typical local farming centre for the dairy and banana industries. Then in the 70s the hippies discovered the green valleys of the “Rainbow Region” and brought their alternative lifestyle and ideas to this conservative area. Now you can find typical rural businesses (like tractor repairs) next to colourful alternative shops and art galleries. The health food shop resides prominently in the centre of town in an old bank building; farmer’s utility vehicles park next to colourful hippy Kombis, and one local pub holds well attended weekly poetry readings. Mullumbimby’s proximity to the popular beach resort of Byron Bay (20kms away) means more and more tourists drop in for a day visit. This has led to the opening of good coffee shops, restaurants, and a couple of excellent health spas. But mostly they come for the unique relaxed atmosphere of the town, where the locals still stop in the street for a long chat. Mullumbimby is in Northern New South Wales/Australia, roughly 50kms south of the Gold Coast Airport, 800kms north of Sydney. It has a temperate sub-tropical climate; only the occasional mid-summer day can be very hot. You get a very wet rain season, usually between March and May, and mostly mild sunny winter days. Interesting fact: many wealthy and famous have now chosen the “Rainbow Region” as their principal residence; among them, the Wheelers, founders of ‘Lonely Planet’, call Mullumbimby their ‘home’. Tumut is a small town of 5000 people located in the Riverina District of NSW, Australia. Tumut is a valley town and is surrounded by fertile pastoral land, and the stunning Tumut River, where trout are the catch of the day. The town lies at the start of the Snowy Mountains, making it a popular base to get to the ski fields and to Yarangobilly Caves where a thermal pool, fed by a natural spring, awaits tired trekkers. My father was born and bred in Tumut, NSW on a dairy farm before leaving to follow a teaching career, ending up as a Principal in the city of Wollongong, where we still live. It was quite ironic that my very first teaching appointment was to this same little county town, where I lived for eight years. So yes, Tumut has sentimental appeal for me. Tumut gets very hot in summer and very cold in winter but is known for its amazing spring and autumn seasons. The town celebrates with the Festival of the Falling Leaf, which is a celebration of the beautiful autumn colours of the region and showcases everything Tumut has to offer. Tumut is about 5 hours from both Sydney and Melbourne and 2 hours from Canberra. For tourists to Australia, the little-known town of Esperance is usually not on the radar, no doubt because of the 9-hour drive from Perth. However, for those seeking the most beautiful beaches in the country, it should be. The small port town, home to nine thousand people, offers a myriad of natural beauty, from the naturalist’s delight of Woody Island (the only island in the Recherche Archipelago open to the public) to the strangely wonderful Pink Lake. The town beaches are breathtaking, from West Beach, close to the centre of town, out to the magnificent Twilight Beach, and the many beaches in between the 7 km drive. However, head out a little further, roughly 56 km into the Cape le Grand National Park, and you’ll discover Australia’s finest beaches. Lucky Beach has repeatedly been voted Australia’s most beautiful beach, for the almost blinding white sand along the sweeping bay and the bright turquoise water. 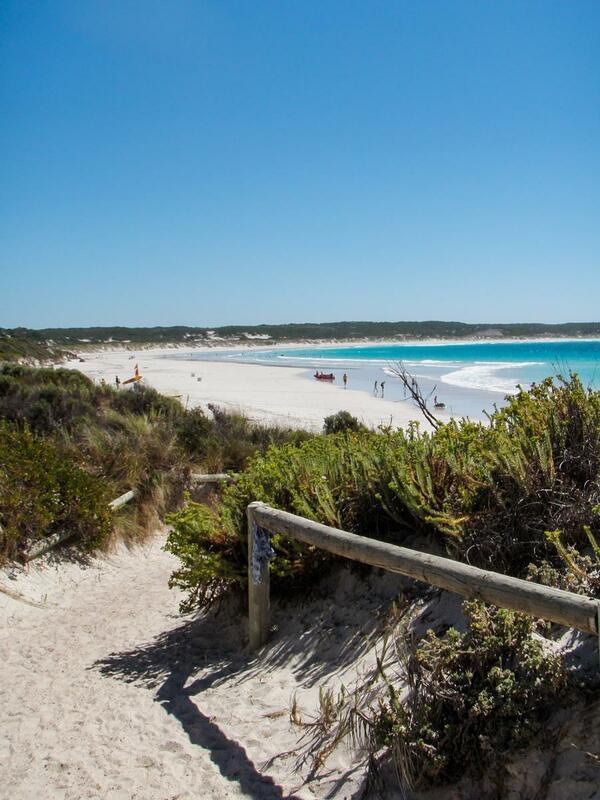 There is a campsite at one end, and kangaroos are regular visitors to this picturesque beach. The must visit Hellfire Bay, however, is the real winner for me. It’s a smaller beach, with a rocky outcrop providing the perfect vantage point for photos at one end of the bay. This is the true gem of the Australian coast. Esperance is a little-known town steeped in history and natural beauty, with European history dating back to 1627, and settlement in the 1870’s. 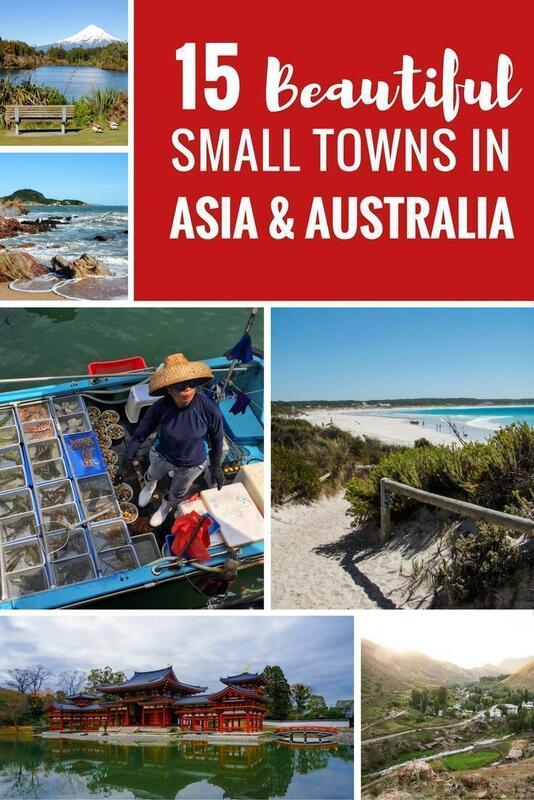 The town offers markets, art trails, and strangely, a scale replica of Stonehenge if you need to take a break from the water, but for unforgettable beauty, and Australia’s best beaches, Esperance should be top of your list. Contributed by Lydia of Holidays, Hellidays and the Journeys in between…. 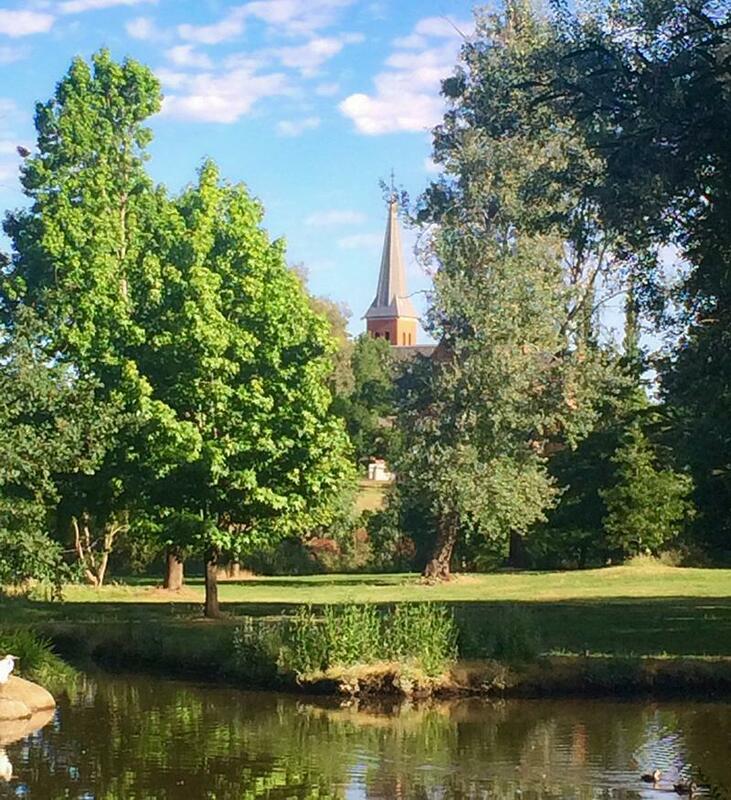 Located just an hour north of Melbourne, Daylesford is the perfect place to reinvigorate the body and mind. Set amongst the rolling hills of Victoria’s central highlands, Daylesford is one of the few spa regions in Australia. 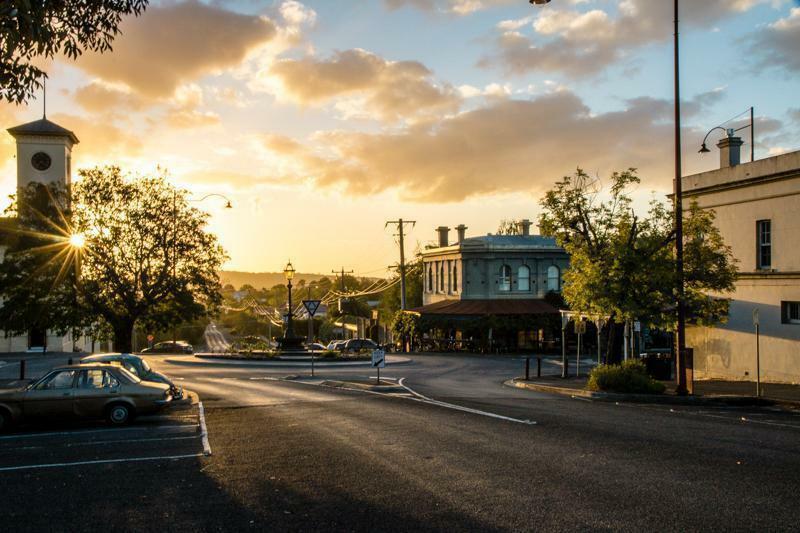 Everything about Daylesford, Hepburn Springs, and the surrounds is rejuvenating; natural mineral springs, spectacular forests, fresh local produce, and 1850’s cottages converted into luxurious accommodation. Driving in, you’ll be struck by just how gorgeous it is. The stone and red brick cottages of yesteryear line the main street, illuminated by rich country light coming over the valley, and earthy autumnal tones everywhere create a feast for the eyes – reflecting its past as one of Victoria’s most successful gold-rush towns. If you’re into the foodie scene, Daylesford has incredible restaurants in abundance, including the chef’s hatted Lake House, among others. If you like to get out and explore the countryside of foot, there are many walks in the local area. However, we recommend embracing what Daylesford is famous for; its rich mineral waters of the surrounding region and visiting one of the many spa or wellness retreats. Your body and mind will thank you! New Plymouth has been my hometown in New Zealand for over twenty years, and we’re a side of New Zealand many tourists don’t reach. With most international visitors skipping us in favour of getting to the South Island, we’re a missed opportunity for offbeat hiking routes and rustic, quiet beaches. 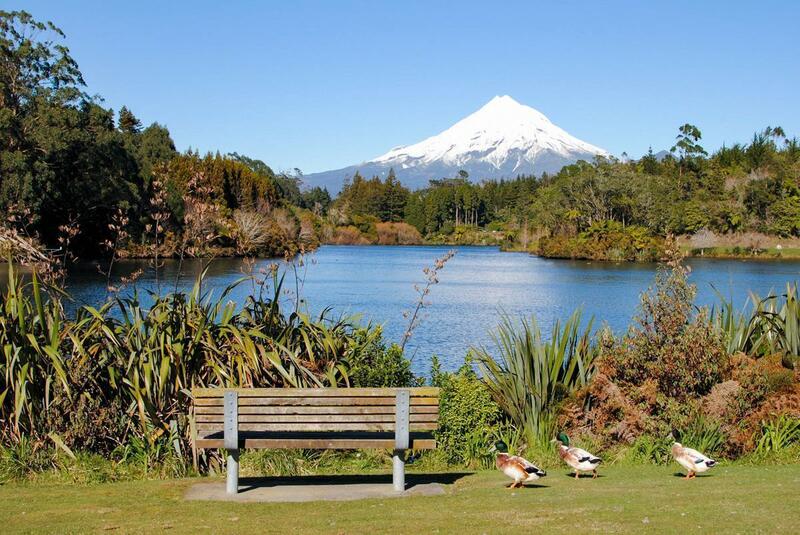 New Plymouth sits snugly between Mount Taranaki and the rugged coasts of black sand beaches by the Tasman Sea. Surrounded by powerful landscapes, and in the heart of a farming region, we are a destination to hike and cycle, but also a place to slow down. Escape the hordes of boisterous tourists crowding photos and killing vibes, and see a more local, natural side of New Zealand. To get there, either drive south from Auckland (or north from Wellington) on State Highway 1 or catch a flight or intercity bus from either city. Blink and you will miss this hidden gem in New Zealand. Well hidden in plain sight you will drive right on by, on the road from Christchurch to Akaroa. There’s a small, delightful town called Little River which hosts no river and is of questionable size. If you’ve driven down that way, you’ve most likely stopped to use the bathroom here or obeyed the road rules and slowed down as you pass. Perhaps on your way back to Christchurch you’ll notice the huge silver, shiny silos and start cursing yourself that you didn’t stop by here earlier. Little River is nestled in a deep valley surrounded by streams and springs that join to form the Okana and Okuti Rivers. 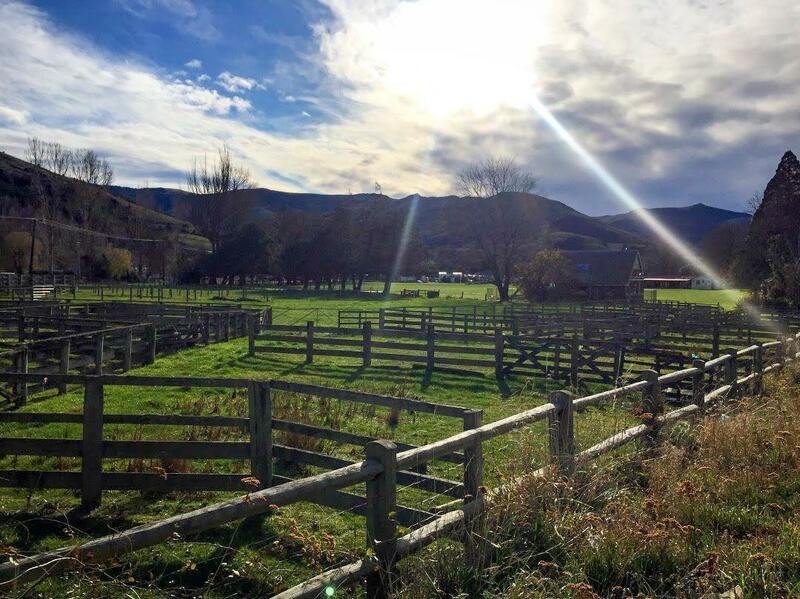 It’s a small town on the Banks Peninsula located approximately 30 minutes’ drive from Akaroa or 45 minutes’ drive from Christchurch, hidden away on State Highway 75, which links the two cities. Clearly well and truly off the beaten path, Little River is a spot you don’t want to drive by. 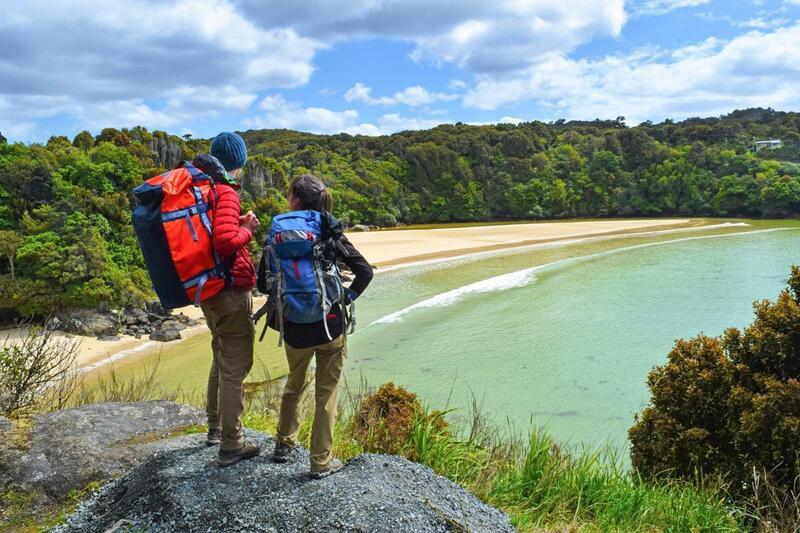 Located a short – yet bumpy – ferry ride away from the bottom of the South Island, Oban is the only town in Stewart Island and has lots to offer. The incredible wildlife is the main attraction. It is not uncommon to see the very rare kiwi bird roam the town at night. Plus, the neighbouring Ulva Island is the best place in the world to spot them in the wild along with other rare species like the morepork, a dwarf owl. You just can’t do any better! Add the heaps of stunning beaches and genuinely kind locals, and you are in for a treat. Speaking of the locals… Want to know more about the locals and their history? Head to the Bunkhouse Theatre where a movie, narrated by a dog(!!! ), retraces the history of the island. That has to be the best way to spend a rainy day. Oban, Stewart Island, New Zealand, Oceania, Earth. Get there! We hope this collection of exotic small towns has inspired you to get off the tourist trail on your next travel adventure and spend some time somewhere off-the-beaten-path. Stay tuned for our next collection of amazing small towns in the Americas.